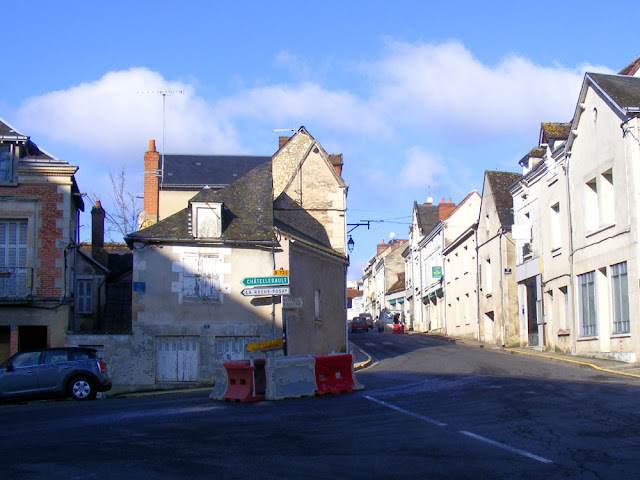 Roundabout: As part of the ongoing struggle to adequately cope with traffic in the Grande Rue, a roundabout is being trialed at the bottom of the street, near the Abbey. In addition, temporary chicanes have installed up the street and the plan is to widen the footpath to 1.40 metres. Temporary roundabout at the bottom of the Grande Rue. Post Office: From 1 September the Post Office in Preuilly will be reducing its open hours to 15 hours a week, mornings only. The commune owns the Post Office building and the Post Office is a rent paying tenant. The Post Office in Preuilly. 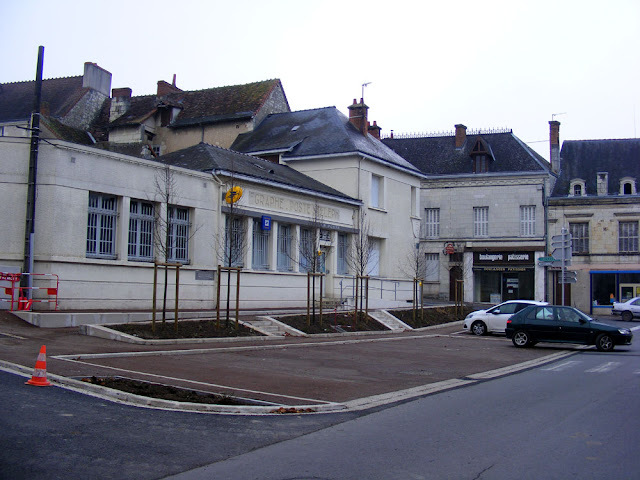 Preschool Closure: The preschool (Maternelle) will be closing and the pupils transferring to the Primary School. Thanks to several new families moving into the area the Primary School now has 82 pupils (up from 75 last year). Under New Management: The Episervice mini supermarket will change ownership on 1 March. The old owners are staying on to transition the new people. My sources tell me the new owners are of Moroccan background. The outgoing owners are from Brittany. Change of Use: Cyril Courteix has taken over the old ambulance depot and installed his mechanics shop there (moving from rue des Douves). New Shop: An outlet for a chocolatiere/baker/patissiere has opened on Place des Halles, next to the Restaurant de l'Image. The main shop is in Tournon and the 22 year old chocolatiere/baker/patissiere is called Laura. Her Mum runs the boutique in Preuilly. Milk Price Rise: Sandrine, who produces and home delivers dairy products around town tells me that milk has gone up. It is now 95c a litre. Deaths: Our neighbour Edouard tells me that 3 elderly people from our street died while we were away. At least one of their properties is on the market now. 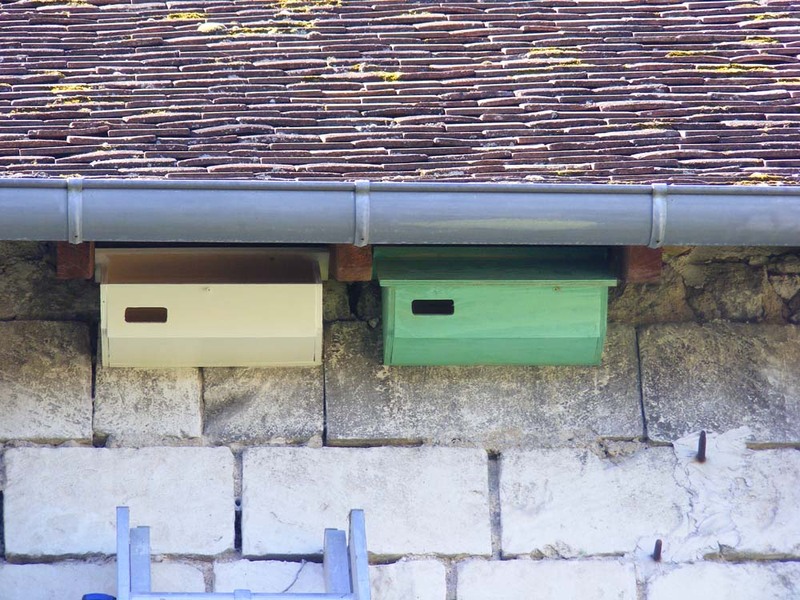 Chapel Nestboxes: Thanks to encouragement from me and SOS Martinets, a couple of nest boxes for Swifts will be installed as part of the restoration of the Chapelle de Tous les Saints. The chapel is currently swathed in scaffolding and tarpaulins. The masons and roofers have done some preparatory work. Swift nest boxes on our graineterie. 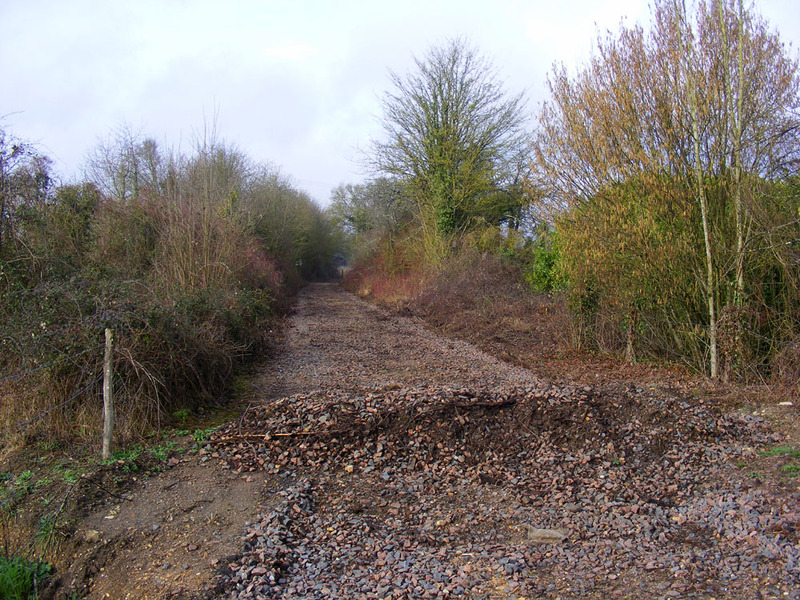 Greenway: The rails and sleepers have been removed from the old railway line and it is on its way to being a voie verte. Ultimately it will be 40 kilometres of walking track, from Descartes to Tournon. Much of the section near Preuilly runs along the Claise river. The voie verte where it crosses the D725 in Preuilly. Medical Personnel: The vet, Christian Martin, has retired and there is no new vet in town. 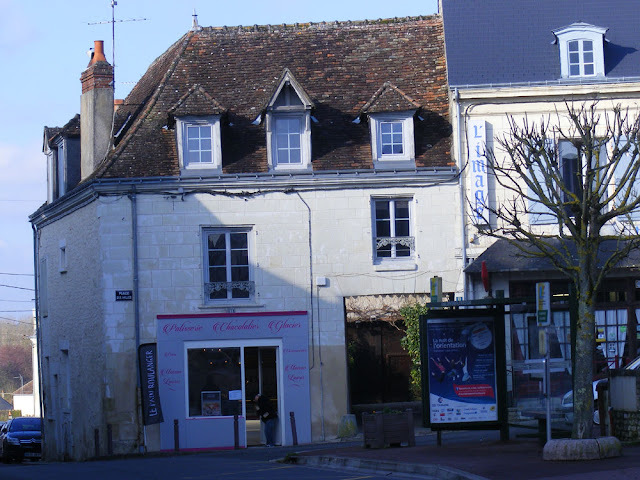 The nearest vet is now Vanderquand-Lefebvre in Tournon Saint Martin or Vincent Monoyer in Descartes. The dentists, Drs Renaudie, have also retired. They have been replaced by Dr Claudius Zaharia Trofin, who has moved into a new surgery in the Post Office building. I'm told his wife is training to be a doctor and will ultimately be installed as a second GP for Preuilly. Hopefully we will get to catch up. Thank you Both for the updates in Preuilly, we always find it interesting to catch up with what is going on. We will now be prepared for chicanes and the roundabout when we are next over! Not sure how they will work out though. I hope that it doesn't put people off coming though the town as I think passing trade keeps a lot of the businesses alive. Nobody seems very positive about the chicanes and roundabout. I think the commune is desperate to control the heavy vehicles coming through town. However, I have heard that one of the shop owners is going to close up if people can't park in front. The solution is the much discussed bypass, but it's so difficult to negotiate the route and fund a new bridge (and the businesses won't like a bypass any more than they like chicanes I'll bet). Passing trade is important to small local shops and the bank. We've often stopped to visit the bank, boulangerie or deli en route through the town, sometimes on a whim. It will be interesting to see how the proposed changes develop as there doesn't seem to be a straightforward place for a bypass. It's always a bit worrying when professionals such as the vet and dentist retire and are not replaced by younger ones wanting to move in. The locals are as much to blame as anyone. We need a solution and a reduction to the heavy vehicles down the main street, but too many people are unwilling to park and walk more than a few steps to the shops. Thus, there is no solution.